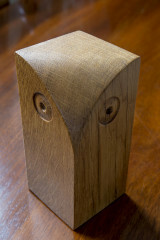 A simple owl design, carved from recycled solid oak posts and beams that would otherwise have become firewood. The owl is roughly 14cm (5.5 inches) tall. 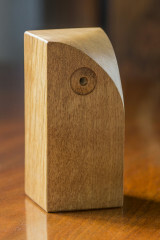 Makes a wonderful ornament, a paperweight or a single bookend. 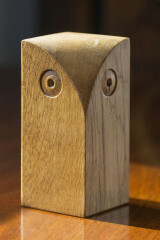 A simple owl design, carved from recycled solid oak posts and beams that would otherwise have become firewood. 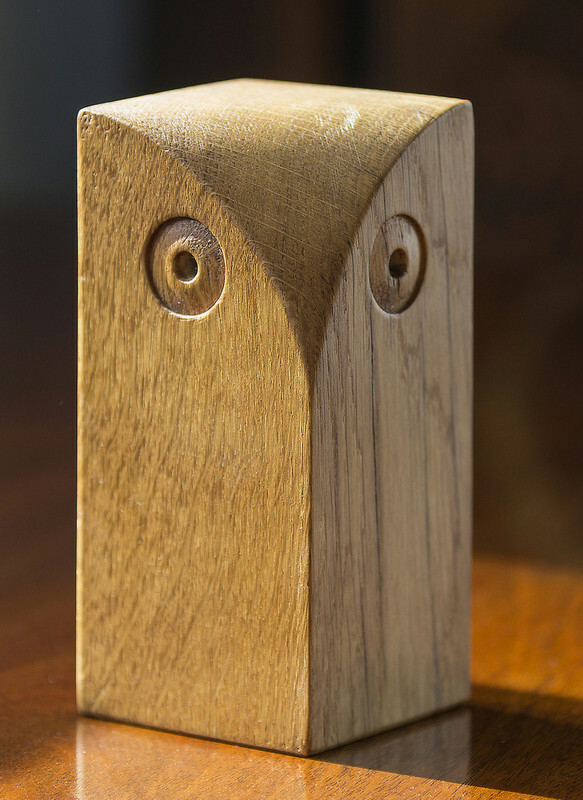 Oak has a natural grain that is reminiscent of an owl’s plumage, making it the perfect wood for this project. 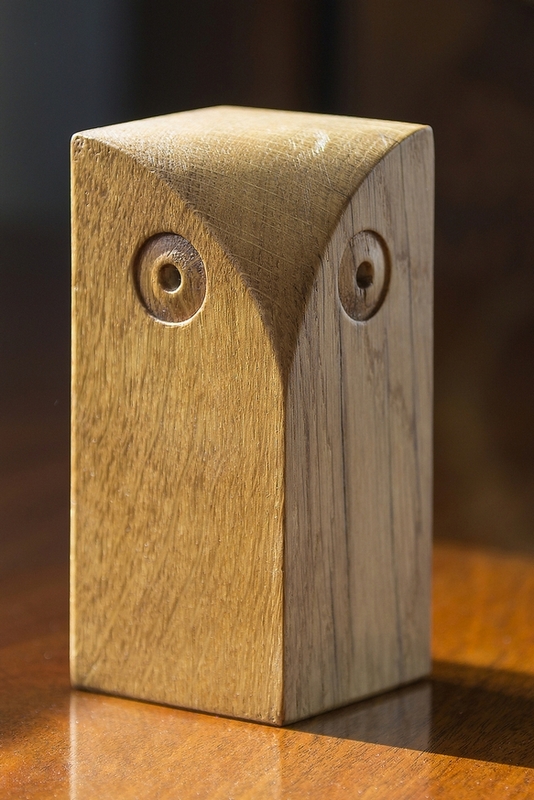 The owl is equally at home perched on a shelf or sitting on some paperwork to make sure it doesn’t blow away. Beautifully made piece and a history of the origin of the oak used. A pleasurable buying experience. 5 stars !.